Motorists charged with DUI should contact the top Appleton DUI attorneys at Vanden Heuvel and Dineen, S.C. immediately. If convicted of this crime, first time offenders can expect huge fines, enrollment in alcohol awareness classes and a life-disrupting loss of driving privileges. Commercial drivers who are convicted of driving while under the influence in Appleton may even lose their livelihood. For multiple offenders, another conviction can carry much harsher penalties, such as jail time, electronic monitoring equipment and may be required to install an Ignition interlock Device on their vehicle in order to get their license back after the suspension has ended. When building a OWI defense, acting swiftly is extremely important. The sooner one of our Appleton DUI attorneys is able to start working on your case, the stronger it will be. Being proactive in this situation may even save your license. For example, if you do not schedule a hearing with the DMV within 10 days of receiving a notice of license revocation, your driver’s license will be suspended automatically. Our legal team of OWI lawyers deals exclusively in DUI cases, and knows every inch of DUI-related law. We are a member of the National College of DUI defense, are an AV-rated law firm and make sure that we stay up to date on the latest and most advanced forms of DUI defense. 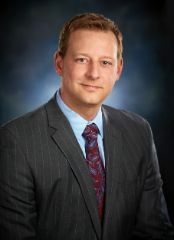 In addition to providing aggressive representation in the Appleton area, Nathan Dineen provides the same level of service in surrounding communities such as Fond Du Lac, De Pere, Neenah, Green Bay, and Oshkosh, Wisconsin. You can expect a top tier criminal defense with a clear focus on defending your rights. We also know what you are going through, and our DUI lawyers in Wisconsin will be by your side throughout the entire process. It is our goal to help you through this unpleasant time of your life as painlessly as possible, while making sure we do everything in our power to defend your license and reputation. Get in touch with us today by filling out our online case evaluation form, or call 1-877-384-6800 24 hours a day to speak with one of our attorneys. Get the tenacious, knowledgeable and aggressive DUI attorneys at Vanden Heuvel and Dineen, S.C. on your side.